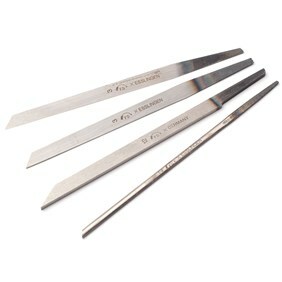 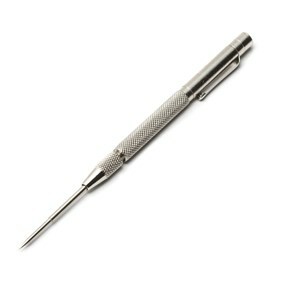 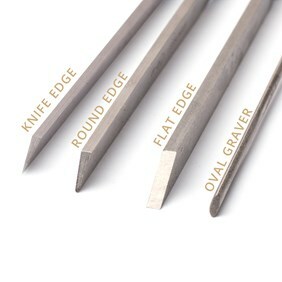 These gravers are made in Germany from high quality steel so they should stay sharp and last for a long time. 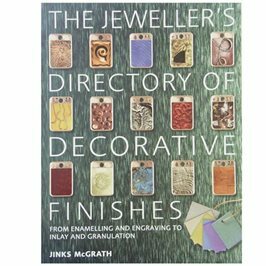 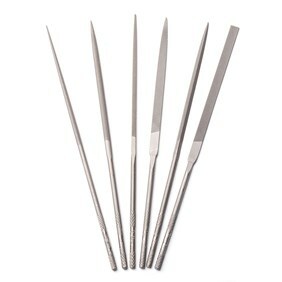 Gravers are available in a variety of different shapes and can be used for engraving pattern, marks and texture into metals as well as being useful for cutting away small amounts of metal in awkward to reach spaces and for raising metal for the 'claws' in grain settings. 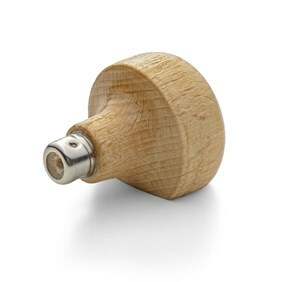 To fit into the wooden graver handle, the 'tang' of the graver (the metal part below the cutting blade) should be heated with a torch, inserted into the hole in the neck of the handle and then gently tapped down to secure it. 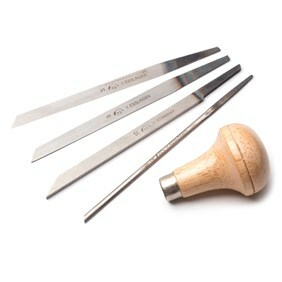 Please note that once fitted, the handle is secured permanently so you will need one handle for each graver.